When two of your favorite artists of the two last decades are found together on the A side of a (beautiful red-colored) 7 inch record, then you know it deserves your strict attention. 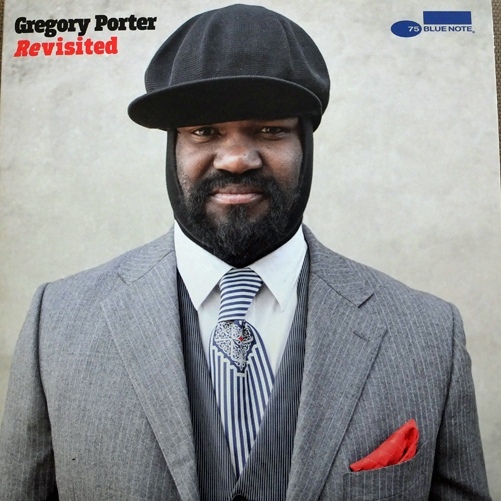 More precisely, the deep velvety voice of Gregory Porter (who won the 2013 Grammy award for the best vocal jazz album) is remixed here “à la sauce” Ludovic Navarre, a.k.a. the man behind St-Germain and one of the founders of the classic 90’s “French Touch” electronic style. Released for the 2014 record store day, this remix is a nice return to from for Navarre who did not release much music in the past ten years. 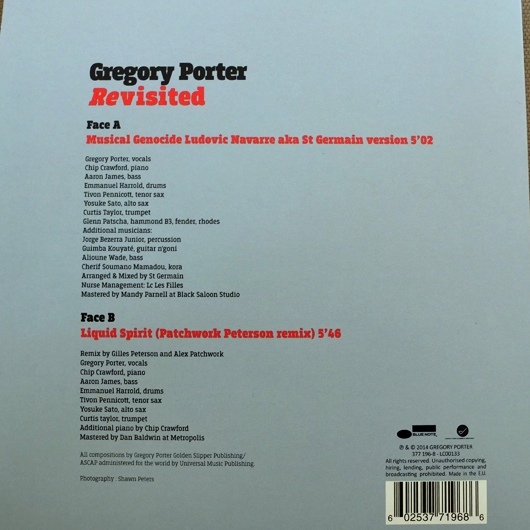 You can hear Ludovic Navarre’s touch on the distinctive guitar solo samples and even more on the sequencing of his remix through the subtle chopping of Gregory Porter vocals. This 95bpm floor-burner has the potentiality to spring a feverish love wave on every bedroom and dancefloor you can imagine. The anthem is already well known by soul fans; few remixes match the original but this one might be an exception. 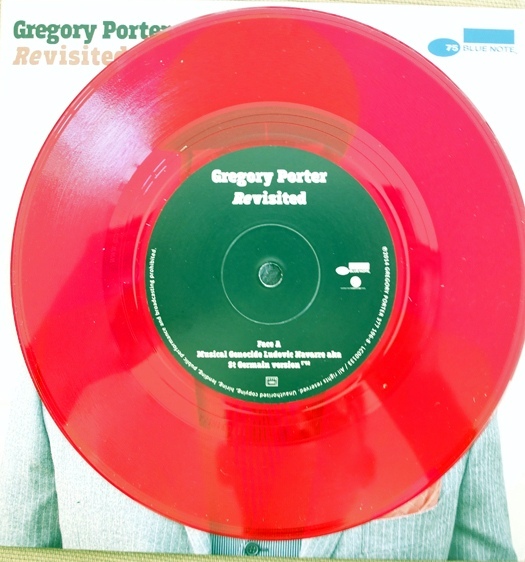 The original Gregory performance is a nice uplifting pulsed tune which is nice to listen to, yet the remix is far much deeper and more emotive rendition, it never left my DJ crates since I bought it. The record is cheap and can be found easily at your favourite record shop or on the Internet, don’t sleep on it! Future Classic: Nosidam. "Fly You Out Interlude"
Mix of the Day: Adnana Sun & Anna Piranty "Bringin Flavaz"